Foot Info: There are some excellent resources out there with information on how to take care of your feet. Two books I find myself turning to time and time again are Fixing Your Feet: Prevention and Treatment for Athletes by runner and fast-packer John Vonhof, and Injury Free Running: How to Build Strength, Improve Form and Treat/Prevent Injuries, by the well-known sports chiropractor/podiatrist Dr. Thomas C. Michaud. Both are chock full of great tips, from how to properly prep your feet against blisters, to an exhaustive review of the most common foot injuries and how to address them, and they are written in accessible language so are relatable even to the less medically savvy. I have also garnered some fantastic information from the podiatry blog of California podiatrist Dr. Richard Blake. There are posts here on a multitude of conditions and treatment protocols, and Dr. Blake even answers questions either by email or via his blog. A wealth of information to be found here! Foot Mobility: I know you probably stretch your calves, quads, hamstrings and glutes, but do you ever think about stretching your feet? Good foot mobility is so important, especially for proper shock absorption, but it’s something we generally don’t do much to maintain. In fact, when we jam our feet into shoes and socks all day we make our feet even more stiff and locked up. Phil Wharton of Wharton Health has some great active isolated flexibility routines to help restore mobility in our feet; an example can be found here. You can also use devices such as Yoga Toes or Correct Toes to stretch your feet; stick them on while you’re lying on your couch reading a book or watching TV. Wearing Ininji socks instead of regular running socks can help maintain good toe separation, and many swear by them for blister prevention too. The bones of the foot can be pesky little things! Image via wikipedia. Foot Strength: A good foot-strengthening routine is an important tool in a runner’s arsenal, and should be included in any runner’s training program. You don’t have to spend a lot of time to give your foot strength a real boost; a few simple exercises after running a couple times a week should do the trick. You can do foot/toe coordination work like the exercises shown here or here. Things like walking barefoot on a soft surface with a regular gait and then on your toes and heels are also great things to do for a few minutes post-run – I do them on the turf in the center of the track by my house. Dr. Michaud’s book has a number of suggested exercises to increase foot strength as well, specific to the different foot ailments. Or, you can get more technical and utilize a strengthening tool such as the Ankle-Foot Maximizer (AFX). This neat appliance can be used with any number of the company’s online strengthening protocols, which are tailored to different sports/training goals. Though a little on the pricey side, it’s a useful tool, especially for providing resistance for eccentricly loaded exercises. Foot Flow: Regardless of how healthy your feet are or how well you take care of them, the fact of the matter is if you run a lot, they will take a beating. They are bearing your full weight, and are the first-line shock absorbers of the ground forces you subject yourself to when you run. Blood flow there isn’t as good as it is to your more proximal body parts (glutes, quads, etc), and waste products can build up and be tough to flush out. There are a few things you can do to help with circulation, and one is self-massage. I covered some self-massage techniques in a previous post, and using tools like the Muscle Angels Massager or your own fingers to rub out the tight sore spots and promote blood flow can be very helpful. Another great tip I picked up from Dr. Blake’s blog is to use contrast bathing. The protocol is as follows: Make an ice bath and a warm bath in two pots, tubs or basins. Stick your foot or feet into the warm bath for 4 minutes, then quickly submerge in the ice bath for 1 minute. If you are injured and there is swelling, Dr. Blake advises to increase the ratio of cold to warm. Repeat for a total of 4 times (20 minutes total), ending on cold, then elevate your feet for 10-15 minutes. I have used this method to help with healing of many of my foot injuries, but it’s also great just for rejuvenating tired, sore, beaten up feet. There’s no shame in a little support: Finally, I have to put in a plug for seeking help when you need it. If, like me, no matter what you do you always wind up sidelined with some kind of foot or ankle injury, get a medical opinion as to whether or not orthotics are appropriate for you. I am all for foot strengthening, using barefoot running as a training tool when possible, and running in lighter, less stacked-up shoes. But some people just don’t have the feet for it…and that’s ok! Do what you need to to keep your feet healthy and pain-free so they can log the miles you want them to – that’s the most important thing! What tips do you have for happy, healthy running feet? 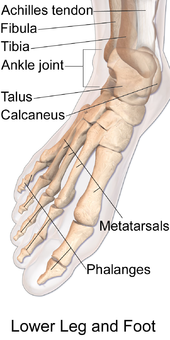 Any issue-prevention tips for those of us with a short first metatarsal? You might check out Dr. Michaud’s book…he has a description of preventative measures you can take for pretty much every foot condition imaginable. What kind of issues have you had? Does it affect your toe-off? My second metatarsal takes a beating and is sore. I start to get Morton nuroma type symptoms if I run too many times in narrow shoes in a row. It is nothing that prevents me from running, but it was pretty bad for a few weeks earlier this summer. Wide toe shoes make a big difference. Then again, I do run 80 miles a week in thin lightweight shoes. I wear through shoes near my little toe. Well, yes, there is the 80 mpw element to it. 🙂 It sounds like your 2nd metatarsal has symptoms similar to my 3rd metatarsal (bruising, Morton’s Neuroma type symptoms, etc). I’ve had some relief wearing Yoga Toes at home whenever I can, and also wearing shoes with soft soles, like CROCs, around the house instead of walking barefoot. Yeah me too. I basically wear sandals with wool socks whenever I’m not running or sailing. A couple of times a week I roll my feet around on a tennis ball looking for tight and sore spots and go to town. It hurts so good! And I notice that my legs as a whole feel looser after which, is a bonus.